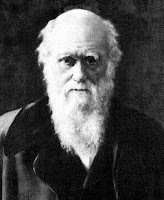 In 1859, Charles Darwin introduced his theory on “On the origin of species” through this now famous preamble: As many more individuals of each species are born than can possibly survive; and as, consequently, there is a frequently recurring struggle for existence, it follows that any being, if it vary however slightly in any manner profitable to itself, under the complex and sometimes varying conditions of life, will have a better chance of surviving, and thus be naturally selected.” The (very non organic) species of the hedge fund industry have been aptly playing out this struggle for existence over the last few months as famous names such as Peloton Partners, Carlyle Fund, Carrington Capital, Amaranth Advisors and the mother load at Bear Stearns end up in the obituaries column of financial journals. The much vaunted “strategy” which typifies the various hedge fund species be it equity long-short, event driven, arbitrage or other clearly needs to evolve to be naturally selected under the current complex and varying conditions of the market. As an example, consider Andrew Lahde’s Lahde Capital Management, a California based hedge fund: by betting against sub prime, his fund returned over 1000% in 2007 to investors. Mr. Lahde is already developing other contrarian strategies to prepare for the market’s next set of probable directions. Eric Abhyankar is a professor of finance at the University of Northern Virginia, Prague and provides consulting to the funds industry on finding new markets for asset gathering. Articles Related to "Hedge Fund Collapse - Survival of the Fittest Hedge Funds"